My Full Emmy Report! My Favs! Okay, I know it’s a little late but… better late than never, right! Here are my top choices from the Red Carpet, and gowns that I think you could rock on your wedding day! Julia Louis Dreyfus rocked it in a gorgeous Monique Lhuillier gown. A similar Ines Di Santo gown could be worn for your wedding day! Kaley Cuoco wore a gorgeous Vera Wang gown in Red that was debuted in black a couple seasons ago. Kerry Washington looked lovely in a Marchesa gown. 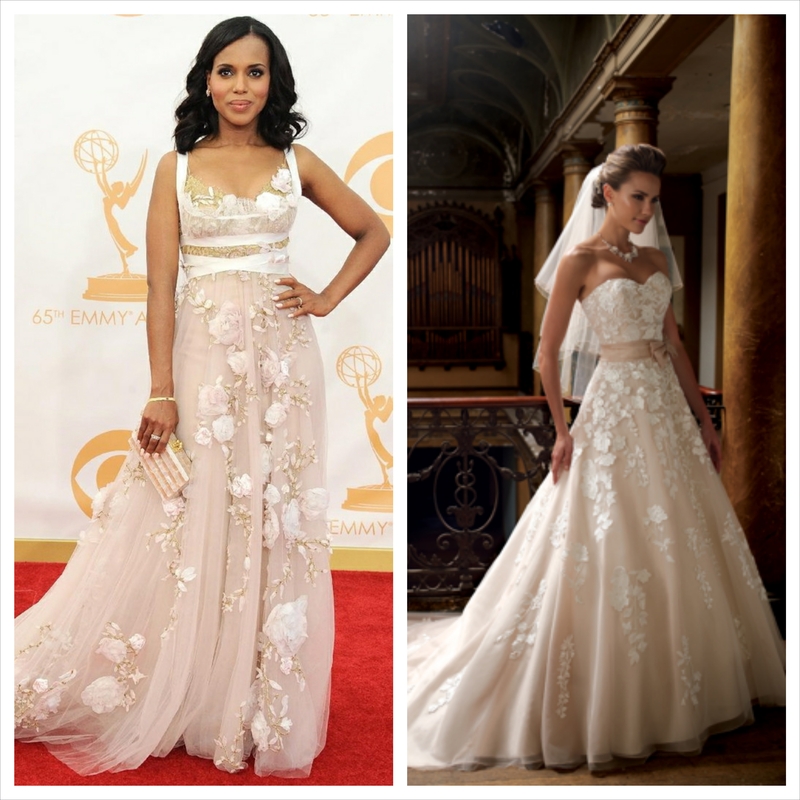 I found a very similar gown by David Tutera! Sofia Vergara wore Vera Wang, and I found an Alita Graham gown at Kleinfeld that looked very similar! Tina Fey wore a gorgeous blue gown by Narciso Rodriguez. I found a similar Pnina Tornai for Kleinfeld that looks almost identical! Finally, Zooey Deschanel looked SO glamourous in a light blue J. Mendel gown. Check out David Fielden‘s gown for Kleinfeld I found!